If Latvia’s Environment Protection and Regional Development Minister Juris Pūce decides to dismiss Mayor of Riga Nils Ušakovs, his seat may be passed to vice-chairman Oļegs Burovs, said Riga’s mayor at a press-conference on 29 March 2019. Minister Juris Pūce has requested from Ušakovs explanations regarding violations uncovered by the ministry in Riga City Council. On top of that, Ušakovs said Pūce «should seriously consider his actions based on all the answers provided to the ministry so far». He stressed that it would be «solely a political decision, dismissing the mayor of the capital city». As it is known, the ministry has found that Mayor of Riga Nils Ušakovs, as shareholder in public transport company Rīgas satiksme, has failed to successfully implement the previously planned increase of the company’s base capital. It is possible Ušakovs may have violated the Law on Governance of Capital Shares of a Public Person and Capital Companies, because he has not performed relevant amendments to RS statutes in order to carefully evaluate transactions and avoid exceeding specific amounts of money and thereby influencing the function of RS, as concluded by the ministry. It is possible Ušakovs has also failed to make a clear decision on the approval of RS auditor in accordance with the law, which states that only the council of participants has the rights to make decisions on approval and dismissal of auditors, says the ministry. 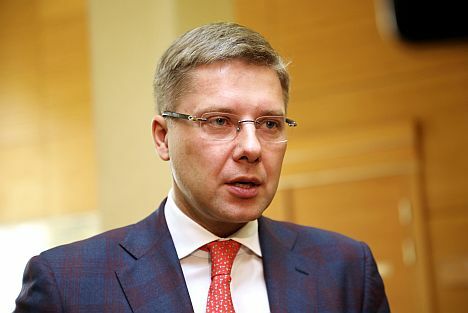 Ušakovs has also failed to provide the Environment Ministry the report compiled by audit company Ernst & Young Baltic on the situation in RS or a copy of the risk analysis. The ministry has also uncovered possible violations in decisions made by Riga City Council: the mayor possibly failed to comply with good management principle and multiple regulations that govern the work of the city council.